Dwellings designed for two-wheeled transport: a new trend? Formerly relegated to cramped utility closets or stairwells, bikes are now getting special treatments in apartments. Motorcycles are, too. Walk down a suburban street in Anytown, USA, and you'll see the many ways homes have been designed around the automobile. Two-car garages are the norm, but three- or four-car garages aren't unusual. Urban housing design is just the opposite: more room for people, less for their transportation. But perhaps designing dwellings for two-wheeled transport will strike a happy medium. In Tokyo, space is a premium and scooters and motorcycles are popular. Combining these facts, Akiyoshi Takagi Architects built an apartment building that contains a compact courtyard with an entry point designed to allow the passage of two-wheeled vehicles (but not much else). Certainly, an apartment building doesn't need to be new in order to accommodate bikes or motorcycles. In New York City and other urban areas, many apartment buildings have dedicated bicycle storage rooms. But as this story in the New York Times conveys, these rooms can become cemeteries for old, unused and often abandoned bikes. All of this means designers who can create accessible, easy-to-navigate bike storage solutions are in high demand. 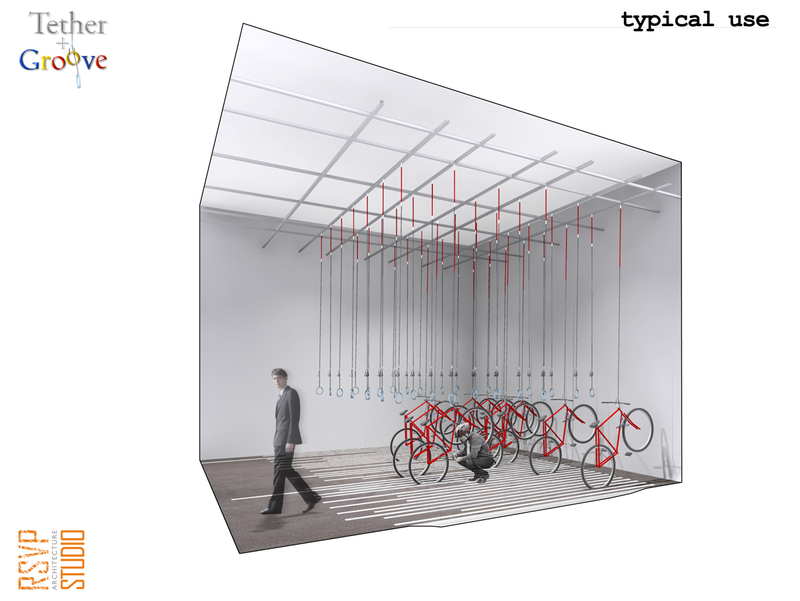 In response to a bike storage design contest back in 2008, RSVP Studio offered a smart system in which bikes hang from hooks, with their back wheels trained into a track. In bike-loving Washington, D.C., high-rise apartment complexes are starting to make bike storage--either built right into apartment units or through storage rooms-- as well as work benches complete with bike tools, common amenities. The need for bike storage in cities has even spawned a new type of business: bike parking garages. Bikestation is a chain of secure bike storage centers that are located near major transportation hubs in cities in California and Washington, D.C. For a low fee, cyclists are provided not only a secure place to store their bike while they're at work, but they're also provided showers, bike tools and work benches.